Let's face it there are more Ontario Marinas than I can count. Its due to the abundance of fresh water lakes and rivers that offer great opportunities for sailing, power boating, kayaking, canoing, windsurfing ... I could go on and on. Some call it the best fresh water cruising in the world. The Great Lakes is the largest fresh water basin offering 2200 mile deep waterway from the Atlantic Ocean to Winnipeg. Once major trade routes, it is more likely now that aside from fisherman you are likely to see recreational vessels out on the water. Ontario Harbours are as different as the cities and towns they are in, housing everything from luxury yachts, weekend sailing enthusiasts and fishing boats. Don't assume that the smaller the town the smaller the harbour. Toronto is just as likely to have a small unnoticeable sailing club as is Southampton. 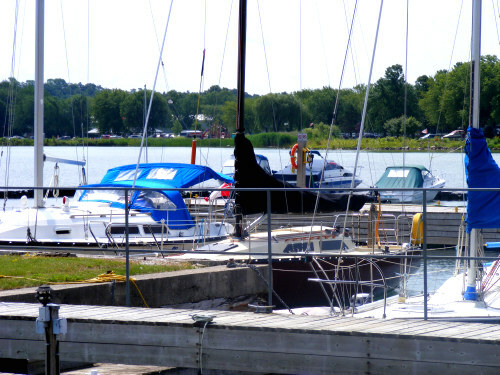 The following are some of the more popular Ontario Marinas. 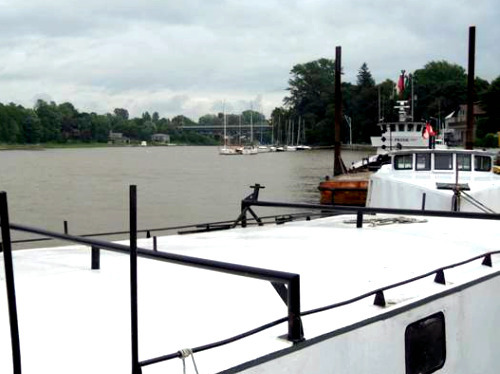 Its hard not to mention Ontario's capital when talking about its marinas. 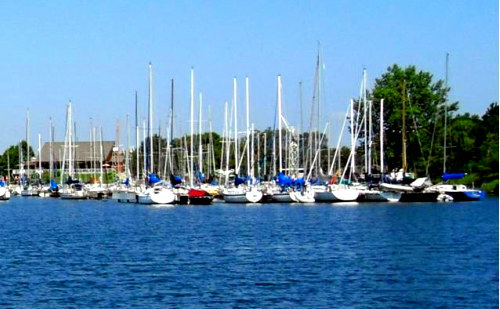 Toronto has a mixture of working Lake Ontario marinas mixed with its luxury and recreational marinas. Not all ports have slips for transient dockage. If you are looking for one that does try the Outer Harbour at Toronto's Port Authority or the Toronto Island Marina. Prince Edward County has become quite the cottaging area along a coast that is better know for big cities than quiet small towns. There are two main harbour areas that you can choose from Wellington Harbour and Picton Marina & Harbour. There are comparably fewer Lake Erie Marinas when you look on the map. Port towns to visit are Port Colburn, Port Dover, between Turkey Point and Long Point plus even Leamington. Aside from Sarnia most of the Ontario Marinas found along these shores are pure cottage country. In the Lake, in the Bay and even in the North Channel you don't have to go too far without finding somewhere to launch and moor your boat. In Lake Huron you can boat from Grand Bend, Goderich, Kincardine & Saugeen Shores before marinas become scarce. Once you head up the Bruce, Tobermory is a must visit. The western shores of Georgian Bay offer ports of call at Lions Head, Wiarton and Owen Sound before heading onto Meaford, Wasaga Beach and Collingwood. 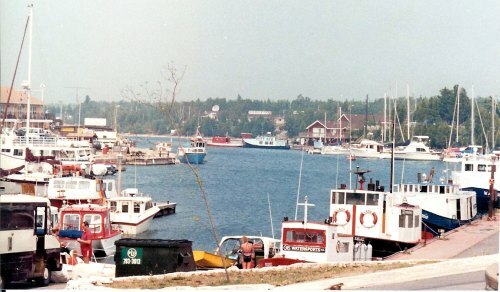 The eastern shores of Georgian Bay are probably better known for the Muskoka lakes but there are major harbours in Midland, Penatanguishene, Honey Harbour and Parry Sound. The North Channel is all about Manitoulin Island, the largest freshwater island in the world. I haven't even come close to mentioning all the marinas in Ontario. From the Thousand Islands to Lake Simcoe, the Kawarthas and the Muskokas, there are marinas almost everywhere. Use the interactive map below to find the marinas in Ontario that you are looking for and are close to where you are vacationing. Return HOME from Ontario Marinas.